Fly by Night Press, 9781549814044, 348pp. A senior Russian military engineer is murdered. Is it espionage or treason? In the modern Russian revolution, corruption and hidden agendas in both government and industry have replaced law and order. When Peter Turner, an American student uncovers a murderous shadow network of extortion, money laundering and espionage he must get out of Russia before the KGB and gangsters silence him for good. When morals become relative, and all choices are dangerous, self-preservation is no longer intuitive. Val Karren is a native of Seattle, but has lived in Europe for most of his adult life. His interests in European languages and politics as a young man prompted him to travel to Britain and the European continent, and later to the Ukraine and Russia, where he lived, studied and worked. In the 80s he was engrossed with the events and ethos of the Cold War; and in the 90s, the transition of Eastern European countries into the post-Soviet era attracted him to that part of the world. He moved to Russia to watch these events unfold first-hand. After studying Russian literature at the University of Nizhny Novgorod, Val eventually returned to the US and earned a Bachelor’s Degree in Slavic Languages and Literature from the University of Washington in Seattle. He later earned an International MBA from the Maastricht School of Management in the Netherlands. There Val began writing his experiences in the form of short stories to share with family and friends. Val settled in the Netherlands with his American wife and started a career in international trade. His travel and work carried him to many corners of the world, where he continued to collect a library of hilarious, eye-opening and sometimes heartbreaking stories from across Europe, Russia, and the Middle East. Later in his career he returned again to writing, and finally wrote his first novel, The Deceit of Riches, a work of fiction set in Post-Soviet Russia, which had gradually taken form in his mind over 20 years. 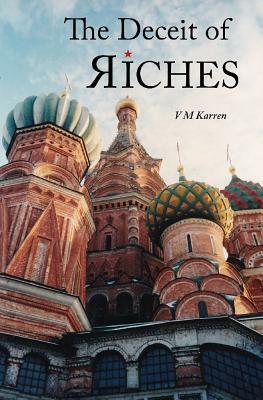 Val is currently writing his second novel, a sequel to The Deceit of Riches, set in Romania and Ukraine. He lives in the Netherlands with his wife and children and is an avid reader and traveller.